North Island Takahe, Porphyrio mantelli. The North Island Takahē or Mōho, Porphyrio mantelli is an extinct flightless native bird found in the North Island of New Zealand. It inhabited high altitude alpine grasslands. 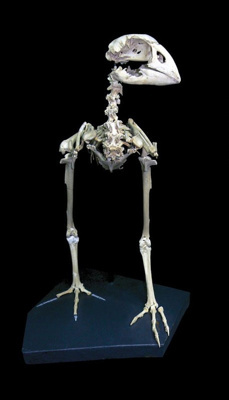 This particular specimen was found in Haggas Hole Cave near Waitomo village.